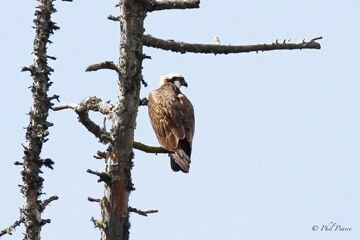 This large raptor also known as a sea hawk and a fish hawk is a diurnal fish eating stunningly beautiful bird of prey. 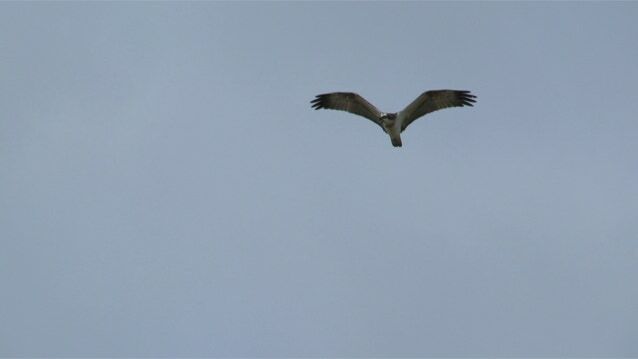 They arrive in the uk in March and April after spending the winter in Africa. And low breeding numbers is making a remarkable comeback. See above links to live webcams. They have white underparts and dark upper parts and amazing wings angled and designed to bend at the “wrist”to enable it to lift off from the water once its talons has gripped a fish. 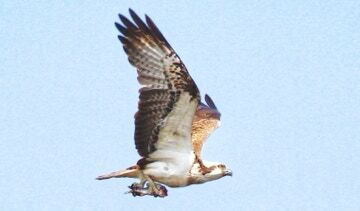 Many have drowned due to the weight of their prey and the fish diving, pulling a weak osprey under to drown. at between 1.2 to 2kg. There are only 200 to 250 breeding pairs in the uk. The female lays 2 or 3 eggs at intervals of 1 to 3 days and then incubates them for 37 days each. The nesting duties are shared but the male does most of the fishing. Many young birds die before the age of three and those that survive live on average around 8 years.